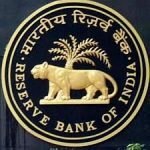 Bank’s Medical Consultant Vacancies – Last Date 18 February 2019 (Kanpur, Uttar Pradesh), Reserve Bank of India recruits Bank’s Medical Consultant posts. MBBS experience candidates can apply. Applications are invited from eligible candidates to fill up One (01) post of Bank’s Medical Consultant (BMC) (reserved for Other Backward Classes*) on contractual basis, with fixed hourly remuneration for dispensaries of Reserve Bank of India at its Office located at M G Road, Kanpur and Officers’ Quarters located at Civil Lines, Kanpur, so as to reach the Regional Director, Reserve Bank of India, Human Resource Management Department, (Recruitment Section), Mahatma Gandhi Marg, Kanpur - 208001 on or before 05:00 pm on February 18, 2019. The Reserve Bank of India performs this function under the guidance of the Board for Financial Supervision (BFS). The Board was constituted in November 1994 as a committee of the Central Board of Directors of the Reserve Bank of India. Primary objective of BFS is to undertake consolidated supervision of the financial sector comprising commercial banks, financial institutions and non-banking finance companies. The Board is constituted by co-opting four Directors from the Central Board as members for a term of two years and is chaired by the Governor. The Deputy Governors of the Reserve Bank are ex-officio members. One Deputy Governor, usually, the Deputy Governor in charge of banking regulation and supervision, is nominated as the Vice-Chairman of the Board. The Board is required to meet normally once every month. It considers inspection reports and other supervisory issues placed before it by the supervisory departments. BFS through the Audit Sub-Committee also aims at upgrading the quality of the statutory audit and internal audit functions in banks and financial institutions. The audit sub-committee includes Deputy Governor as the chairman and two Directors of the Central Board as members. The BFS oversees the functioning of Department of Banking Supervision (DBS), Department of Non-Banking Supervision (DNBS) and Financial Institutions Division (FID) and gives directions on the regulatory and supervisory issues. strengthening of the internal defences of supervised institutions. The Audit Sub-committee of BFS has reviewed the current system of concurrent audit, norms of empanelment and appointment of statutory auditors, the quality and coverage of statutory audit reports, and the important issue of greater transparency and disclosure in the published accounts of supervised institutions. supervisory rating model for banks. Contact Us:6, Sansad Marg, New Delhi – 110 001, India. My daughter is a Chartered Accountant, who is employed in Ernst & young, in Tidel Park, Chennai, having experience around 15 months. Whether she is eligible for any relevant job in RBI .Kind request a reply. Hello I am a semi qualified CA and i have done my graduation in b.com hons. from Delhi University. Hello sir / madam my name is Ajay umesh sakpal I have done 12th with commerce. now I am doing my post office attended job. Hello sir / madam i have completed my 12 with commerce and graduation with arts now i am doing my post graduation can i eligible for this job? My name is Prajyot Thaleshri I am graduate, Am I eligible for office attendant job ? My name is Bachhu Sardar from Jhargram, I have completed 10th class, Can I apply ?